Weight loss may seem like mission impossible to many people. With the Internet full of different diets for weight loss and ways to lose weight, it’s hard to tell which ones are actually effective. Luckily, we’ve rounded up 7 weight loss tips for women that have been proven to actually work. 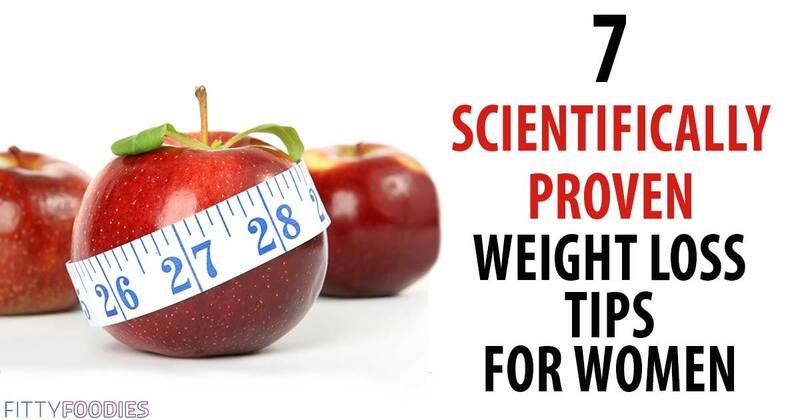 So keep on reading for 7 scientifically-proven tips for losing weight. But before we start…we want you to know that you CAN lose weight. Many women tend to think that weight loss is mission impossible. Especially those who have tried to lose weight before, and, unfortunately, failed. Don’t lose hope! Millions of people have lose weight and so will you – it’s not rocket science! 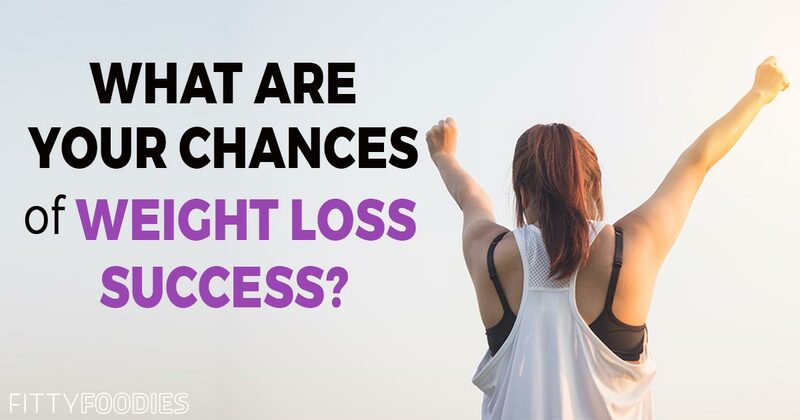 You just have to know how to lose weight exactly, and you’re about to find out with our evidence-based tips for weight loss! So, whether its’ your first attempt at weight loss or your third – lets make sure this one will be your last and most successful one. 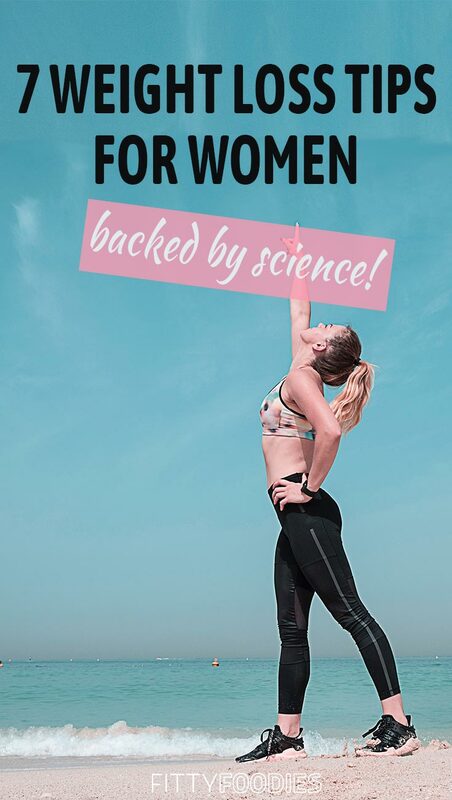 Without further ado, we present 7 scientifically-proven weight loss tips for women, that will lead you to weight loss success! We’re sure you’ve heard that water is great for weight loss – and that is no lie. According to this study, drinking a glass of water 30 minutes before a meal can lead to greater weight loss. 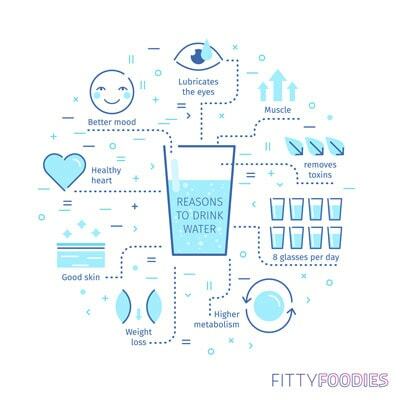 Not to mention, it has also been proven that drinking water can boost your metabolism, which results in more calories burned throughout the day. It’s important that you know what your daily water intake should be and you reach it. You can calculate your daily water intake by clicking here. When it comes to weight loss advice, you usually hear people saying “you need to start going to the gym”. However, that is not necessarily true. Yes, going to the gym and working out is good for weight loss, but lets get real – it’s not for everyone. Which is why walking is so important. Even though it may seem like such a simple activity, many studies, such as this one, have proven that walking is an effective method of reducing body fat. And in fact, you don’t even have to be walking for hours and hours in order for it to be effective. On the contrary, this study, suggests that walking for 30 minutes may be just as beneficial as walking for 60 minutes. You can read more about how to walk for weight loss by clicking here. Number three in our list of weight loss tips for women is to eat more protein. According to this study, higher protein diets can suppress appetite and help with fat oxidation. Not to mention, you can even beat those annoying sugar cravings by using protein powder. There are tons of healthy protein-packed alternatives to your favorites desserts, such as protein pancakes, waffles, fudge bars, brownies, and much more. Click here to check out 10 dessert-like weight loss recipes with protein powder. Next on our list of weight loss tips for women is to get enough sleep. When it comes to weight loss and diet tips, lots of people think all you should focus on is fitness and nutrition. But that is far from the truth. There is so much more that comes to weight loss, such as getting enough sleep. According to this study, sleep quality and quantity can affect an individuals weigh loss success. In fact, there is evidence that people who sleep less are more likely to be overweight or obese. Plus, it has been proven that those who get a good night’s sleep are more likely to stick to their weight loss plan. So don’t underestimate the effect of sleep on weight loss, fellow dieters! Click here for some tips on how to get a good night’s sleep every night. Green tea can help promote weight loss in many different ways. It increases your metabolism, promotes fat oxidation, it improves your workouts, and, our favorite, it helps you lose abdominal fat. 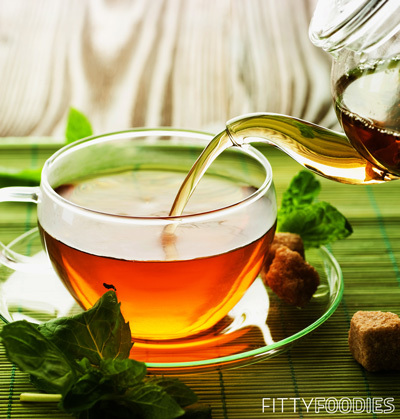 Green tea is loaded with antioxidants, one of them being the catechin EGCG. This antioxidant helps our bodies use body fat for energy, eventually resulting in dropping weight. Click here for more information about what kind of green tea to drink for weight loss and how much of it you need. Consuming too much sugar is one of the main causes of weight gain. The daily limit of sugar is 6-9 teaspoons. 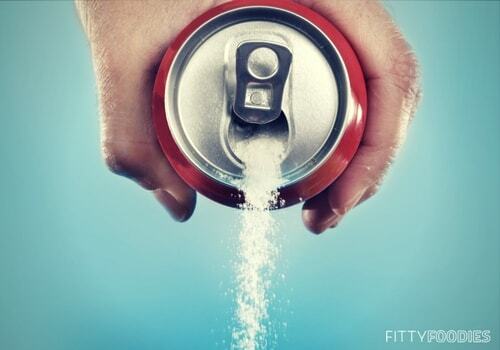 However, the average American consumes around 20 teaspoons of sugar each day! This is because nowadays, so many products at grocery stores are full of added sugars. Sometimes, even the products that seem healthy to us could be full of unnecessary sugar. So basically, you could think you’re eating healthy when you’re actually eating foods high in sugar. What we’re trying to say here is that, there’s a high chance you are already having a bunch of added sugars from various different products (if you don’t read nutrition facts), so it would be best to cut back on the products you know are full of sugar. Such as chocolate bars, ice cream, donuts, etc. You read more about how to sugar cleanse by clicking here. 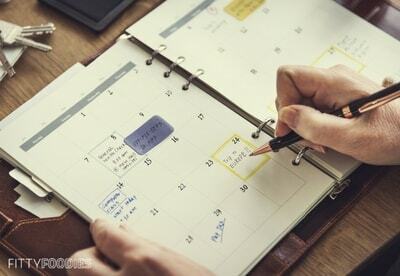 Last but not least in our list of weight loss tips for women is to have a plan. According to this study, precise plans lead to better weight loss. Therefore, those who follow weight loss plans are more likely to succeed than those who just “wing it”. And by a plan we mean a FULL weight loss program. You need a diet plan, a workout plan, a supplements plan, a maintenance plan – you need to plan everything out in order to succeed. This way, every day you will know what you need to do in order to lose weight. Many people fail in weight loss because they don’t follow precise plans. Instead, they just say they’re trying to eat healthier without doing enough research on what to eat, when to eat, and how much to eat. And if you’re going to go on a diet, you might as well go all way! Invest in a good weight loss program, don’t waste your time trying to do it all yourself when you can buy a program that will guarantee you results. We highly recommend checking out the 15 Day Di.et Plan, which offers fast weight loss results that will last. In the short period of just 15 days, you can lose up to 15 pounds of body fat without even going to the gym! You will get an introduction guide, a diet guide, a workout guide, a supplement guide, and a maintenance guide. Basically, you will get everything you need in order to finally shed those pounds! You won’t have to do any more research yourself, as all of the weight loss secrets are here in this 15 Day Diet Plan. Plus, they offer a 75 day money back guarantee. So there’s no risk! If you start now, you could be up to 15 pounds lighter in nearly two weeks! Not to mention, you will reduce cellulite, reduce aches and pains, go down a few dress sizes, and feel healthier and happier. There’s nothing to lose! Click here to find out more about the 15 Day Di.et Plan and start your weight loss journey NOW! Losing weight is a lot easier when you’re not doing it alone! Join our free Facebook community for recipes, tips, questions & answers, and support from people who are going through the same journey as you! This is a new community, so there aren’t a lot of us, but it’s all about quality not quantity, right?